Train 188 was traveling from Washington, D.C., to New York City when it crashed, reports say. The front of the train was going into a turn when it shook, according to reports. The derailment happened on the 2000 block of Wheatsheaf Lane. According to officials, at least 50 people are injured. Former Pennsylvania Congressman Patrick Murphy was on the train and has been tweeting that he’s helping people. 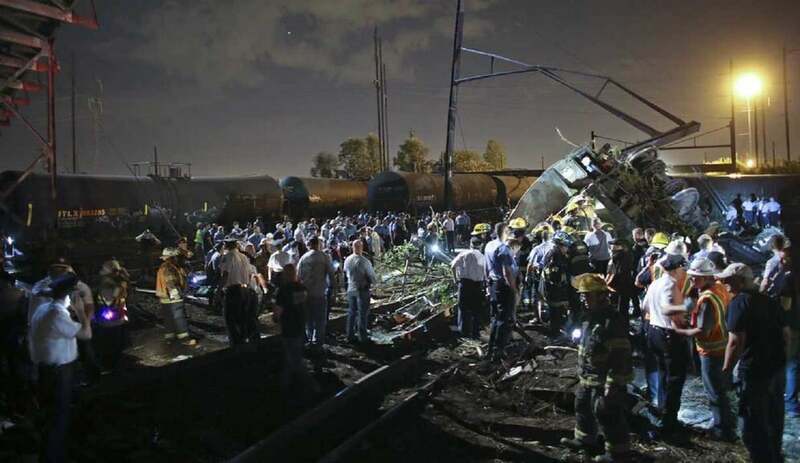 The mayor says at least five people were killed in the derailment. According to the fire chief, the derailment was a Level 3 Mass Causality incident. 18 medic units were called to the scene. The fire department says six people are critical transports, 53 are less critical transports and others are walking wounded. Mayor Nutter called it “an absolute disastrous mess” and said he’d never seen anything like it. He tweeted photos of firefighters helping people in the wreckage. “Pray for those injured,” he said. Mayor Nutter reported, “Several cars were turned over including the engine. I have never seen anything like it. The crash prompted a 4 alarm response from the Philadelphia Fire department. 120 firefighters responded and 33 apparatuses. U.S. Sen. Tom Carper (D-Del.) released the following statement regarding the crash of Amtrak’s Northeast Regional Train 188 Sen. Carper got off the train in Wilmington and was not involved in the crash. Northeast Corridor service between New York and Philadelphia is suspended. SEPTA’s Trenton and Chestnut Hill West Lines are suspended. It is anticipated that the Trenton Line will be suspended throughout the service day tomorrow and possible through the remainder of the work week. People in the Philadelphia area looking for loved ones, please go to Webster Elementary School to reunite with them. If you have questions about their friends and family aboard this train have a special number to call for information: 800-523-9101. All efforts following the Amtrak derailment were trying to reach a conclusion to what had actually caused the crash. Had the locomotive malfunctioned? Was foul play at work? Did a track signal or other track component fail? 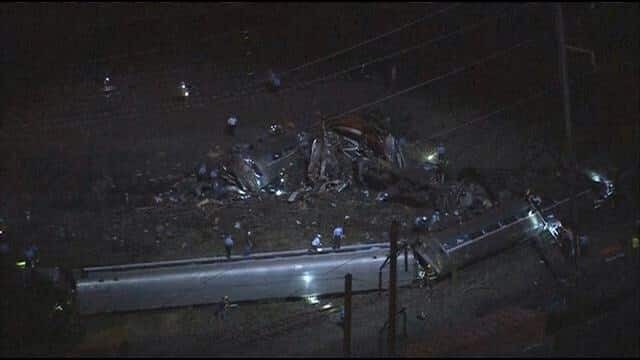 There were reports, as seen in an article written 3 days following the crash, that stated witnesses seeing two individuals leaving a bridged area above the track Amtrak Northeast 188 traveled after possibly throwing an object. Six months later and the main unanswered question is one leading back to the 32 year-old Amtrak engineer, Brandon Bostian, residing in New York City.